A TRONIE: a face created from memory or a consummate sketch of several people and costumes that ‘stand in’ for no ‘one’ in particular. And yet, if you read between the brushstrokes of a portrait, ICONOGRAPHY ALWAYS RULES! “Girl with a Pearl Earring” is considered a tronie – a type of portrait from the Dutch Golden Age that features an unidentified model as well as exotic costumes. While these works may have been based on actual models, they were not meant to be exact portraits of the sitters. The artist took liberties in changing the subject’s features in order to demonstrate studies in expression and physiognomy. The exotic garments were added to show painterly skill and to provide entertainment to the viewers in the open art market. 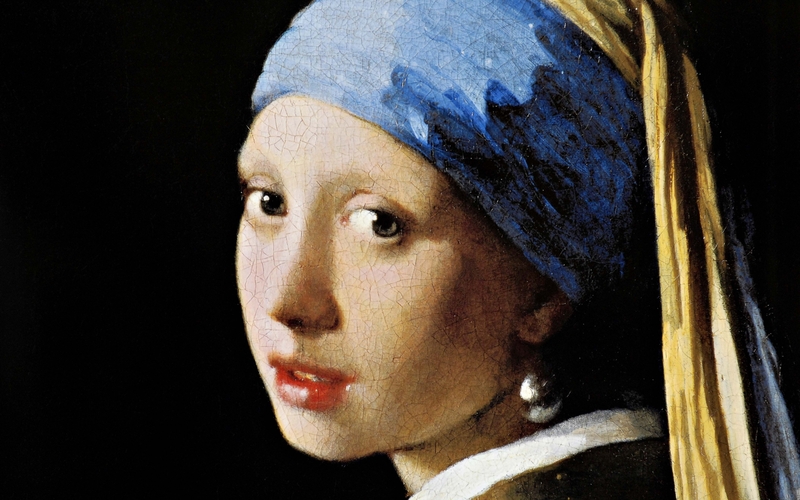 The exotic details in “Girl with a Pearl Earring” include the turban on her head and her large pearl earring. 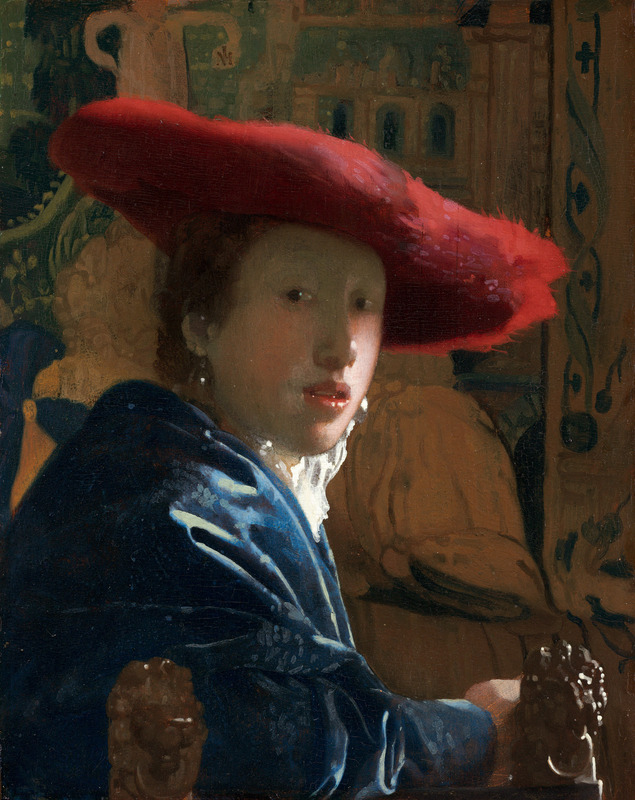 These details were considered taken from Vermeer’s imagination. FOUND & LOST… generic or real? REAL PEOPLE FOUND: an old snapshot of a stranger in a box of family photographs or a vintage postcard find in an antique shop. Waxwork images of a stern-faced Victorian matron or a gentleman wearing a suit that’s too small sporting a top hat and mustache that are too large. A romantic headshot of a dewy-eyed girl, a young boy in a sailor suit hugging a teddy bear, An elegant woman in a glamorous hat at the end of the second row in a formal wedding party portrait. Time swallows all clues, but one thing is certain, these were real people who lived. Not so with painted portraits. The famous and great knew a thing or two about immortality. They were sure of one thing… their deeds (all victories of a sort) would outlive their likeness and so they may as well order an artist to capture them in the prime of life in paint and marble. An image that may never have been. Beautiful, handsome, and commanding. In this way, an idealized portrait is a psychological likeness. A representation for all that the subject never was who chose to be remembered for what they professed or desired to be. In other words, larger than life. Vanities indelibly fixed into the gallery of history. Ineffaceable as a mountain among men or a goddess among women. REAL PEOPLE LOST: unnamed, undated, unreferenced. Identities lost within a single lifetime or over generations. A face from the past stares out of time, captured in a frozen moment begs contact. Remember me? How infuriating when even initials or a date might have been easily scribbled on the reverse, but instead there’s only faded sepia-stained paper, empty as a blank canvas. A painted portrait is a different reality. In many cases, an unsigned work of art with no provenance, lacking verifiable historical reference. No historic record. No diary. A living face undated and unsung. A brief hearsay from an unreliable historian and then… a cold case of a missing person revived in fiction – a literary version of reincarnation. GENERIC LOSSES: Some up front and personal famous faces of historic heroes who want to be remembered as classic ‘beauties’ ie. Young, aquiline profiles, dynamically posed, athletic ‘fighting fit’ bodies, clear skin, dressed in expensive clothing and accessories. Most figures in a background scene or domestic groupings. Yes, servants stood in for some, but many are the faces of a TRONIE. and if you were a one-of-a kind-psychic-listener who could hear their indignant echoes huffy with age, you might have heard that servant girl from Delft: “My name is Griet, and I’ll have you know, in my time I prepared Master Vermeer’s paints in his attic studio.” Is she a tronie? We may never know. “My name is Lisabetta. You know me as the ‘Mona Lisa’. 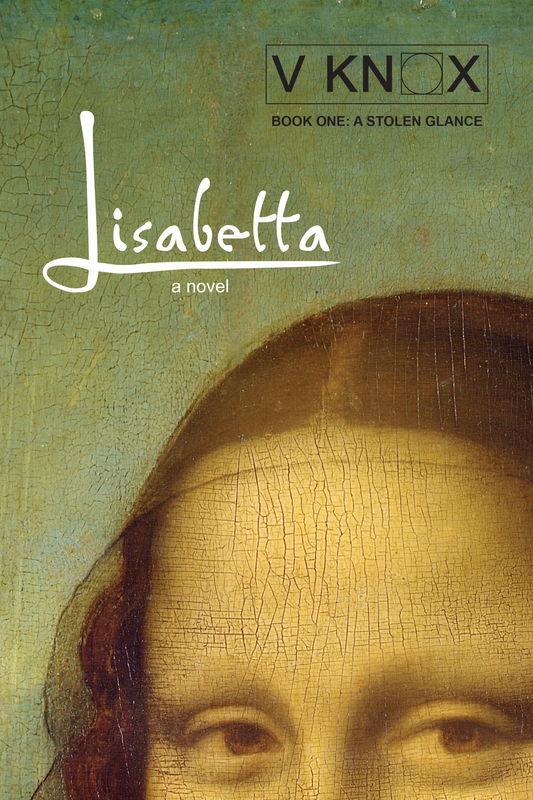 I was Leonardo da Vinci’s beloved kid-sister, his assistant and apprentice, and the mother he was denied. We were born six-years-apart, as close as twins, and when I was old enough to walk, my brother made me a promise that we would never be parted. My dear brother sketched me all my life but I was forty-five-years-old when he immortalized me in paint. And during a particularly gloomy season painting the dreary wife of an even drearier silk merchant, circumstances conspired that I pose for a new kind of portrait. 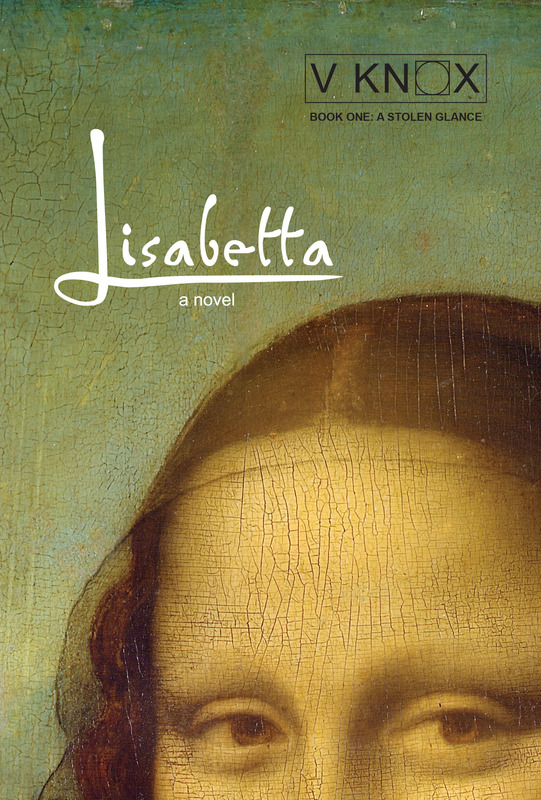 Leonardo looked beyond my face to what had made me happy and sad, to where I came from and who I’d become. He saw me as a human landscape. A mature map rather than a mere likeness. My portrait is our countryside. You can see there are two disparate horizons in my portrait. 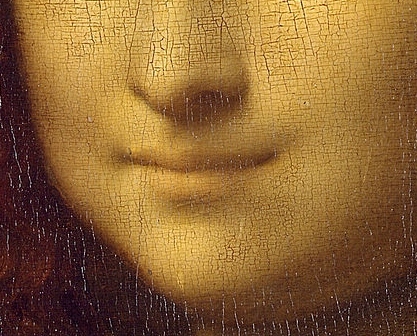 Leonardo favored pyramidal shapes. I am the human ‘mountain’ separating two sides of the same world. Twin landscapes. Life and death. One on the left; the other on the right. Can you tell which one is me? If you can read the language of art and of the trees and rocks and hills, the answer is plain, the way Leonardo liked to paint stories – out in the open for all to see. We were inseparable even after my death, and so I remained his touchstone to life as well as the receptacle where his soul would retreat at his transition. 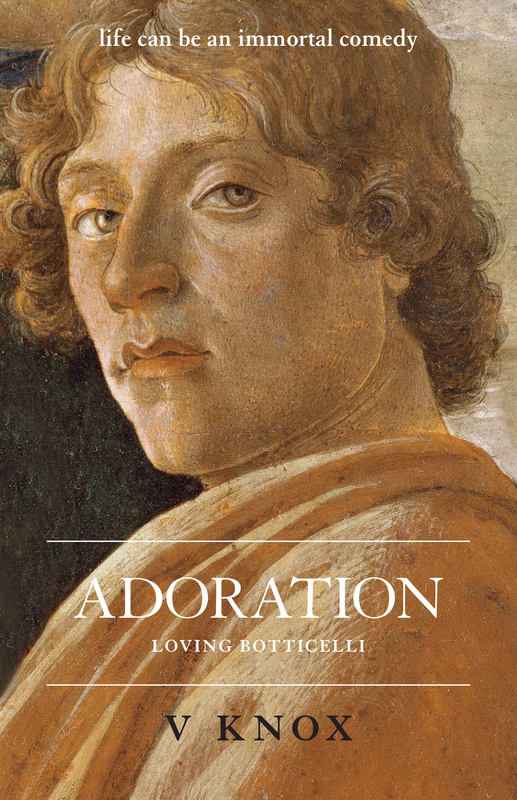 This entry was posted in art history, Books, fantasy, Fine Art, Florence, Florence. Italy, Historical Fantasy, Historical Fiction, Italian renaissance, Italy, Leonardo da Vinci, literary fiction, Lost Paintings, magical realism, paranormal romance, REINCARNATION, romance, Sandro Botticelli, Silent K Publishing, supernatural, the 'Mona Lisa', time travel, V Knox, V. Knox author, Veronica Knox author, women's fiction and tagged art history, ghosts, historical fantasy, historical fiction, Italian renaissance, Leonardo da Vinci, LISABETTA - a novel by V KNOX, Lisabetta Buti, literary fiction, lost paintings, love story, Mona Lisa, paranormal romance, reincarnation, Silent K Publishing, time-slip adventure, V. Knox author, veronica knox artist, Veronica Knox author, women's fiction. Bookmark the permalink.